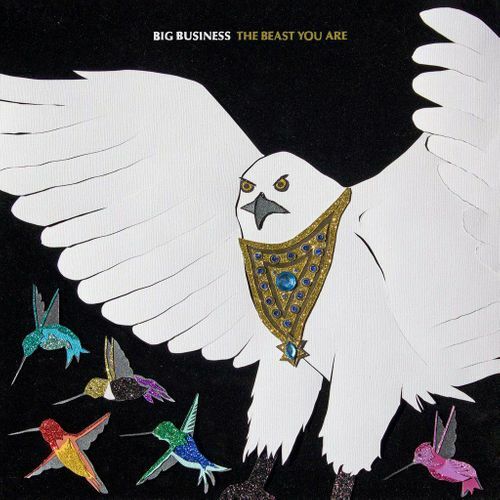 Big Business, a self-aware band name if there ever was one, play what can only be described as the heaviest and most ambitious of '70s hard rock through massive quantities of huffed glue. After a few years featuring additional musicians rounding out their lumbering sound, Big Business returned to their power duo lineup with 2016’s Command Your Weather and stand pat on The Beast You Are, their newest release. That’s not to say their sound has been limited by any means, as bassist/vocalist Jared Warren and drummer Coady Willis make plenty enough noise on their own: with harmonized vocals that are more yelled than sung, Vol 4 riffs, Bonham-sized drums, and “In The Light”-esque synths draped over the endless pummeling groove, The Beast You Are is all guts and glory.